Arguments have ended in the weekslong trial of Thomas Skeek, who is accused of killing his wife three years ago, though her body has never been found. Linda Skeek, who was 32 when she disappeared, hasn’t been seen or heard from since early on the morning of Jan. 1, 2016. Her family presumes she is dead — she hasn’t called them, attended important family events, shown up to work, been contacted by police or received any known medical care, attorneys said during their closing statements Friday. Now after 15 days of testimony, a jury is tasked with deciding whether her husband is guilty of first-degree murder. Prosecutors contend that he killed his wife, and that he cleaned up the crime scene and disposed of her body before reporting her missing several days later. “(This was) a successful beatdown followed by a clumsy cleanup attempt, and the walls of that house are screaming murder,” said assistant district attorney James Fayette. The two sides more or less agree about what happened in the hours leading up to Linda Skeek’s disappearance: The couple and their two elementary school-age children, Aryahna and “little” Thomas, had watched a movie on a DVD player in their SUV before going to watch fireworks. From there, surveillance footage shows Thomas dropping off his wife at several bars around town while he and the children wait in the car, attorneys said. 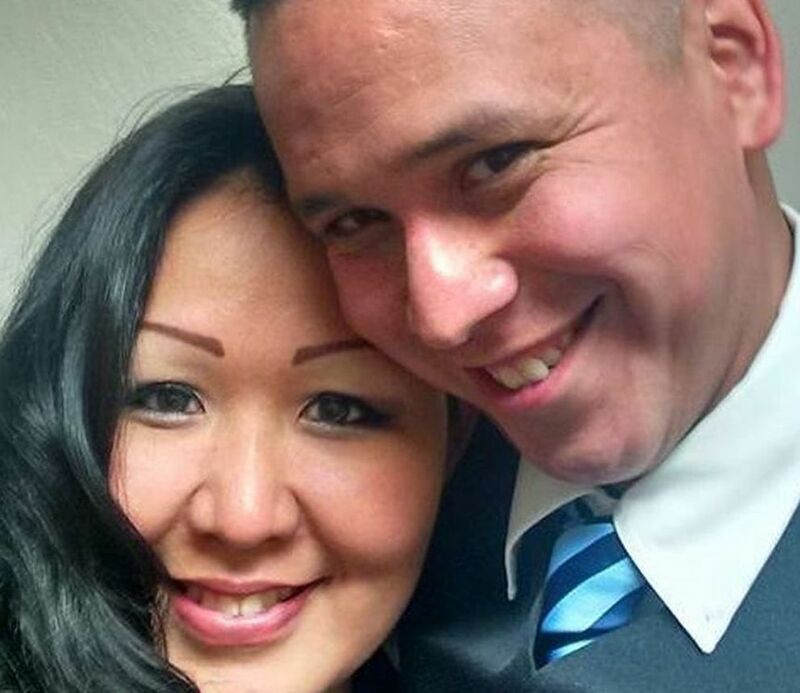 The couple returned to their South Anchorage apartment after midnight. That’s when the stories begin to diverge. Thomas told investigators his wife wanted to go back out, and the two had argued about it. The defense claims he took her keys, and she walked out of the house into the night, drunk and ill-dressed for the snowy weather. A neighbor, Tonia Rorem, testified that she had seen Linda walking along the road and offered her a ride, which Linda declined, though prosecutors argued that the time Rorem said she saw the woman didn’t match up with when the couple would have been home. Any number of things could have happened to Linda from there, argued Thomas’ defense attorney, Emily Cooper — she could have been hit by a drunken driver who hid her body, become the target of a “random act of violence," fallen and injured herself, or simply decided to disappear, Cooper said. “The fact is, those are real possibilities, and that is very, very reasonable doubt," Cooper said. In the prosecution’s version of events, Linda never left the house at all. Linda and Thomas Skeek Jr. in a photo provided by family. Their case relies heavily on testimony from Robert Sheldon, Linda’s uncle, who cared for the Skeeks’ children after their mother went missing. According to Sheldon, Aryahna, who is now 10, confided while living with him that she had heard a loud thump from downstairs the night her mother went missing. She had made it partway down the stairs when she saw her mother’s feet in the downstairs bathroom with “blood all around it,” Sheldon testified. The Skeeks’ next-door neighbor, Barbara Barnett, testified that she, too, had heard yelling followed by a loud thump. Blood found in the Skeeks’ apartment appeared to corroborate the murder theory, prosecutors said. Four blood samples — found on a baseboard molding, underneath the vanity in the downstairs bathroom, on the threshold of the bathroom doorway and in the crawlspace — matched Linda Skeek’s DNA. Smear markings found throughout the house that glowed when chemically treated seemed to indicate that someone had tried to wipe away blood, prosecutors argued. Still, Cooper said, the evidence isn’t reliable enough to prove that Linda was killed, much less that her husband killed her. Forensic testing doesn’t reveal how old the blood found in the home is, she said, and even minor wounds can bleed heavily. Prosecutors also didn’t present a theory on how Thomas would have removed his wife’s body from the home, she argued — there was no blood found in the family’s SUV that matched either Linda or Thomas. “This is the kind of circumstantial, weak evidence that results in wrongful convictions,” Cooper said. The jury is scheduled to begin deliberations Tuesday.